October is flying by, but you still have time to enter the #CruiseSmile giveaway! Now, just imagine yourself afloat the jewel tone ocean with views of beautiful white sandy beaches. We have been to many of the islands off the coast of Florida, and let us tell you, the beaches are even more spectacular in person. 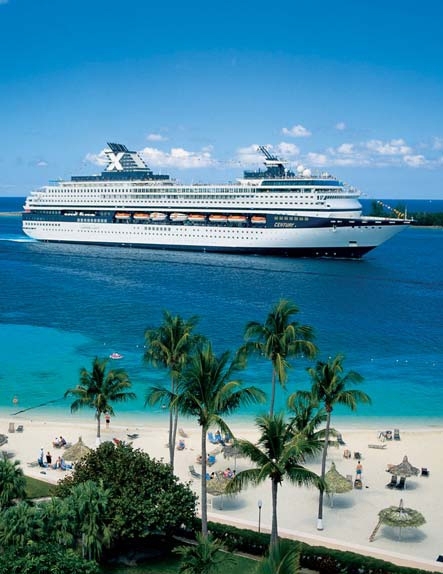 As part of #CruiseSmile giveaway, you can enter to win a Seven Night Caribbean Cruise aboard Celebrity Cruises where you can swim with stingrays, relax on the white sandy beaches and dine in breezy outdoor cafes. To enter, simply upload your “cruise smile” selfie at www.CruiseSmile.org and share the entry with friends. For more chances to win, post your photo on Twitter and/or Instagram using #CruiseSmile and #Sweepstakes and share your #CruiseSmile with friends to earn even more entries into the sweepstakes. We can’t wait to see all of your smiles and wish you lots of luck in winning one of the cruises!